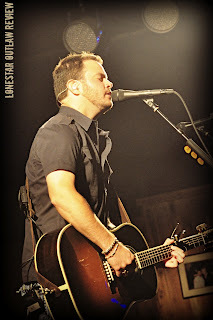 LoneStar Outlaw Review: Wade Bowen ~ The Inner Thoughts of a Traveling Man. 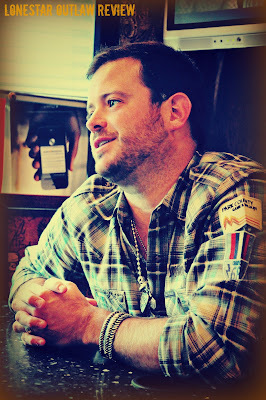 Wade Bowen ~ The Inner Thoughts of a Traveling Man. When talking to fans and musicians alike, every time you hear the name Wade Bowen it is seemingly always followed by “nicest guy you’ll ever meet”, “he was so great to be around”, or something of that nature. There is something to be said for that in this instant stardom world we live in these days-- where many artist were dead broke one day and, thanks to auto tune and a dumbed down listening audience, instant YouTube celebrities the next. Wade Bowen has done things the old fashioned way…pouring his heart and soul into his music, his songwriting, his live shows, and his dedication to always put the best product out there for his growing legion of fans. We had a chance to catch up with him recently in between his countless other obligations and he was kind enough to open up to us and share his thoughts, ideas, and where he sees this roller coaster heading. LoneStar Outlaw: Your latest release, The Given, is your first major label release as opposed to the independent releases you have had in the past. What were some of the biggest changes you experienced? Wade Bowen: With me, there weren’t a whole lot of differences. I still went and wrote the record the same way I always do. Always trying to get better, write the songs the best I can, pick the right producer, and the right guys to play with. I’ve never written as much as I did for this record and it made it difficult to cut out certain songs that I really liked that ultimately wouldn’t make the record. Other than that, you just have a few more people putting in the input but once you realize everyone’s there to help and we all shared the same common goal…there wasn’t too much difference. LSO: How many songs do you usually write for an album as compared to this record? WB: It’s hard to say, but probably 50-60 for each record and this one was easily over a hundred. Plus we had thrown everything back in from the past. Being a National release we threw everything back into the pot which I was really happy about. They (the record label) felt there were some songs that didn’t see the light of day that were good that we should take another look at. LSO: Your co-writing credits on the album feature many of the usual suspects (Adam Hood, Sean McConnell, and Seth James to name a few), but we noticed more so that some of the names were missing from previous co-writing credits on other (earlier) albums. Guys with the last names of Canada, Edmondson, and Rogers. This is the first album you’ve had without any of them on it correct? WB: I hadn’t really thought about it but I guess so. Cody and I haven’t really written that much. Seth and I have written some. It certainly wasn’t by design, more so just the way it worked out. It just kinda worked out with a few Adam songs and a few Sean songs. I was writing all over the place and the record could have gone in so many different directions and I think the songs that ended up all shared a common theme. 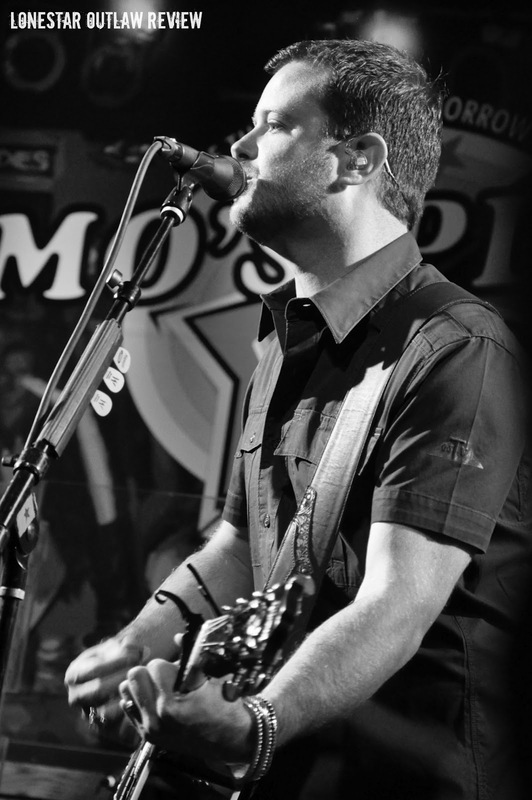 Wade Bowen (just as countless other acts throughout the US) spends his life on the road. For bands (like Bowen’s)…it is where they find their solace, their balance, and their sleepless nights. Many of the artist that travel the Texas (and beyond) circuit are on the road up anywhere from 200 to 250 days a year. It is “a life they have chosen” or as some would have you believe, “the life that chose them”. LSO: Is it getting harder to find the time to sit down and write between the constant touring and trying to keep some semblance of a home life? WB: Since I’ve had kids I’ve gotten used to that. I have time I have to devote to them and my wife and I have to set aside time to write as well. Life gets so busy with meetings, shows, interviews, outings; you have to force yourself to sit down and write. Unfortunately I don’t write well on the road. A guy like Sean (McConnell) will come out on the road with us for a weekend and we’ll try to write but it just doesn’t work most of the time. I try to give my mind a breather and when it starts getting closer to record time I crank it back up. LSO: Are you a “thoughts turned in music” guy or a “music that needs lyrics” guy? LSO: Checking out the CMT website we saw an acoustic version of “Saturday Night” which was great because it’s almost like hearing a completely different song. Where was that filmed? WB: The Mercy Lounge right above the Cannery Ballroom in Nashville. 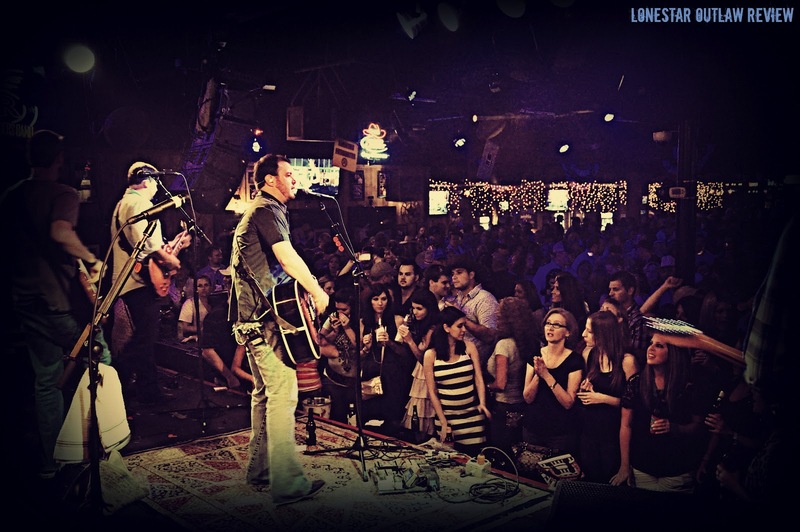 LSO: You’ll be spending a little time in Nashville coming up very soon. Playing at the Ryman Auditorium and then CMA Fanfest. First time for both? 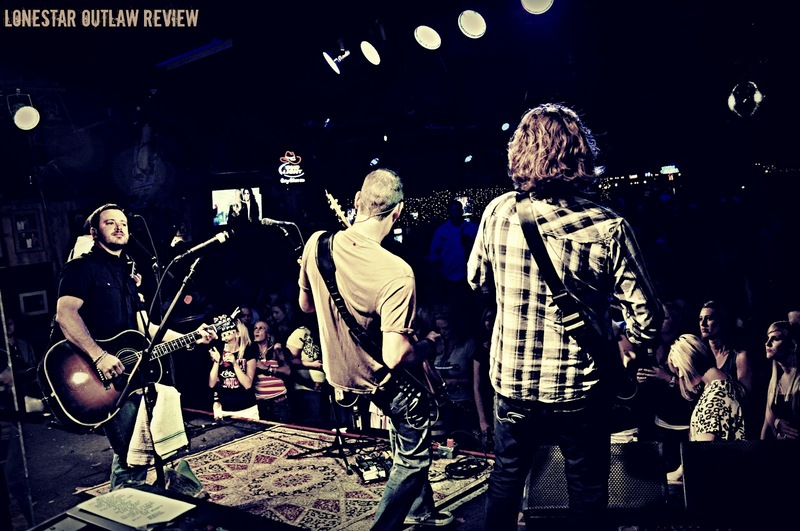 WB: CMA Fanfest, yes. The Grand Ole Opry, this will be the second time playing there but the first time to play at the Ryman. Playing there, it’s like “this is it, man”. LSO: What does it feel like to be on a stage where all of your heroes have come before you and performed the songs you love? Does it hit you all at once or is a steady build of emotion? 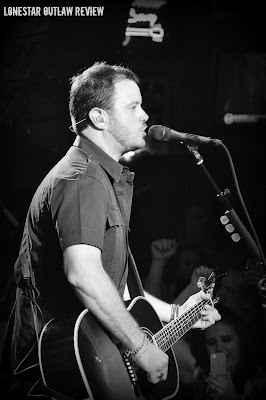 WB: The first time I played the Opry it wasn’t as much of a nervous thing as I thought it was going to be. There was actually a calming sense about it. The people that work there treat you very nice; they’re respectful, they’re really glad to have you there. When I got out on stage there was a real calming effect just because it’s so peaceful there. It’s like being in church and feeling like nothing bad can happen to you. Everybody’s on your team and the people in the crowd may not know your music or who you are…but they’re going to support you because you’re on that stage. It’s a really cool “family” feeling that you just don’t experience anywhere else. LSO: According to your twitter account (@wadebowen) you have been here, there, and just about everywhere talking to about this new album (The Given). One day it was Buffalo, then Pittsburg, then Cincinnati. Was the “radio world” as receptive as you’d hoped? WB: They really were! I was kind of scared at first just because you hear horror stories but I didn’t meet anyone that treated us bad. Most of them were very appreciative that I took the time to come in to the station and I’ve still got a lot more to go before I finish. I’m sure I’ll run across a rough one somewhere out there…but for the most part people are into music because they love it and they’re receptive to new things and people. LSO: It’s a slippery slope trying to keep everyone happy but have you been able to integrate your new fans in with the old ones easily? WB: You can’t keep everyone happy all the time. You just have to be honest—that has always been my approach. If you’re honest with yourself, your music, and your fans…then everything else just takes its place. LSO: We saw you play a month or two ago and you incorporated 6 or 7 new songs that night into the set list. Has that been a smooth transition working them into the show? WB: We’ve just started playing all the songs throughout the shows and we’re doing that because we don’t know which ones are gonna catch on live. Sometimes you hear a song on an album and it just doesn’t resonate on stage or vice versa. They’re all still new to us as well. We’re not completely comfortable with them yet either. 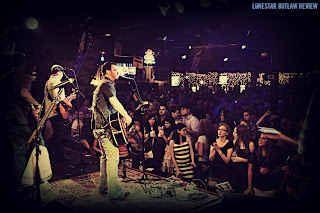 It usually takes a couple of times through a song live to get it where we want it to be. The fans might not hear the difference but we do and we want it to be perfect every time. For those of you that have followed Wade throughout the years you know he always gives back to the community—and especially the one that raised him, Waco, Texas. For the past 14 years Mr. Bowen and his merry bunch of friends have raised awareness, serious funds, and most importantly…he has continued to show his appreciation to the fans that have supported him all these years. This year they rose over $150,000 and it looks to only get bigger. LSO: Was that the most you’re ever raised and did you do anything different this year? WB: That was by far the most we’ve ever raised. We haven’t really done anything different, it’s just gradually grown every year. Word keeps spreading about the event and that’s what we’re trying to do. I want my friends and the artist and the fans to have a great time where they’ll wanna come back. It finally got to a point where I looked at the list and we had 27 artist and I was like “how are we gonna fit all these guys in?” But that’s a good problem to have I guess. 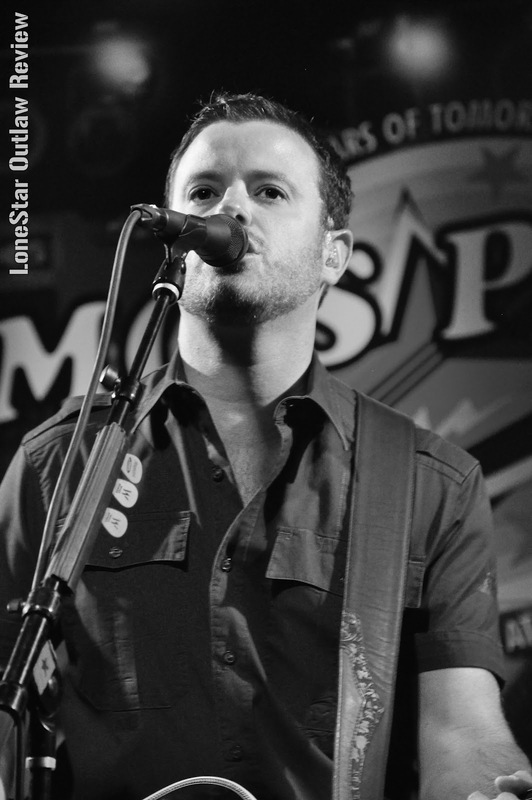 LSO: The core group of guys that all came up together; Reckless Kelly, Stoney LaRue, Randy Rogers, Mickey and the Motorcars, Bleu Edmondson to name a few, all perform at each other’s charities. Has the “business” side of things taken over or is it as easy a simple phone call between you guys? WB: These guys are my friends. We’ll just shoot them a date of when our deal is and to let us know if they can make it and they do the same for me. We’re all in this together and we’re all doing benefits so it just goes hand in hand. We all try to be there and do whatever we can to help. We want bands that we’re fans of or guys we look up to (ourselves) to play as well. 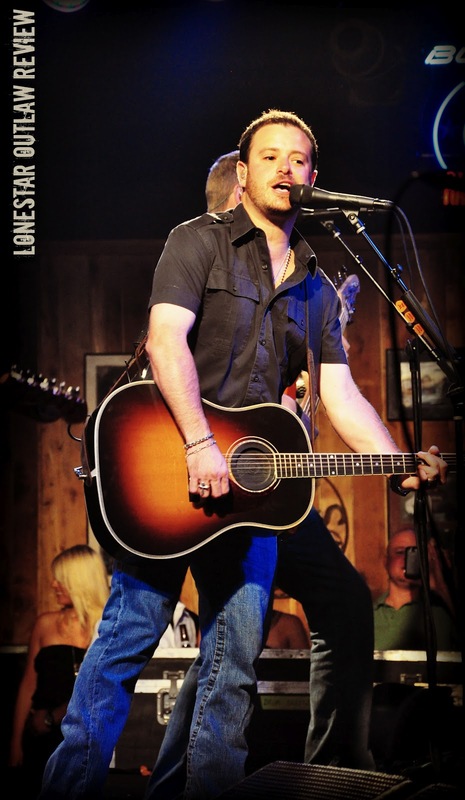 LSO: Wade Bowen can’t live on the road without……? WB: My golf clubs! Even if I don’t get to play I just like to have them around. I’m about a 10 or 12 handicap right now but I’m always trying to get better. And sometimes...it's just that simple to wrap people up. Whether it is his golf game or his professional life, Wade Bowen is constantly trying to improve upon himself. And similar to his golf clubs and how he likes to keep them around (whether he gets to use them on the road or not), Wade is like that for us fans that have been around for the long haul. We have become jaded to the fact that we get to see him on a regular basis, always keeping him around for whenever we wanted to listen. But now the cat’s out of the bag and the rest of the country gets to share in on our little secret. We couldn't be more proud. Having the backing of a major label, “the hardest working band on the road today”, and the sheer will to knock down any doors up in front of him, the sky’s the limit for Wade Bowen and we’re behind him all the way. and become a fan by hitting "LIKE". Sweet shots, wonderful interview, and WE WANT MORE from LSO!! Grrrreart article with up close& personal photos. Thanks, LoneStar. Keep'em coming!